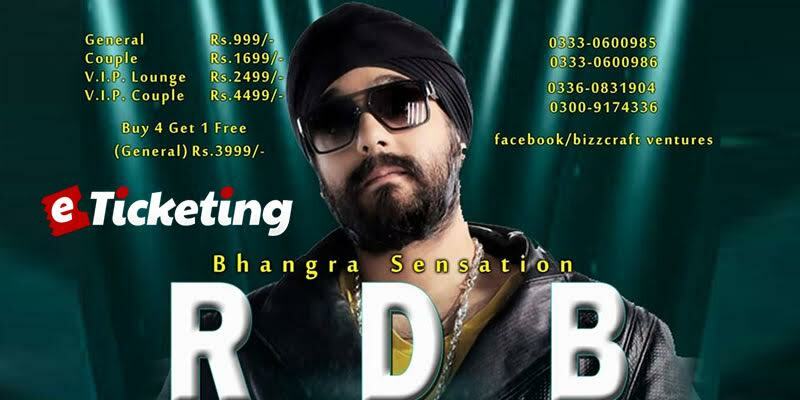 Stay tuned for upcoming events for RDB Live Concert in near future. RDB will perform live on 20 May 2017 at Pavilion End in Karachi, Pakistan. Music fans in the metropolitan seaport of Karachi and nearby cities enjoy the melodious signing by Bhangra sensation SurjRDB. Come join the musical night and dance to the desi tunes of the last Rhythm Dhol Bass namesake. The event will also feature Rafia Rafiq, Afshan, Wali Shaikh, Salim Afridi and Hassan. RDB (an acronym for Rhythm, Dhol, Bass) is a band initially formed by three British Sikh brothers in 1997. Its singing style blends western genres with traditional Punjabi beats and vocals. The group is now led by its sole remaining founder SurjRDB (Surjeet Singh). BizzCraft Ventures International is an Event planning and management company in Karachi, Pakistan. They are organizing concerts, corporate events, seminars, commercial shows and presentations since 20+ years. Their services also include media production, wedding planning and catering. Terms & Conditions : BizzCraft Ventures International reserves the right of admission to the venue and event. Best Viewed at 1024 x 768 pixels and above. This Page loaded in 0.04993 seconds on Tue, Apr 23, 2019 (21:07).